“Whatever you do, work heartily, as for the Lord and not for men, knowing that from the Lord you will receive the inheritance as your reward. The Parish Council members are elected by the members of the Cathedral. They serve a three year term. These administrative positions assist in the daily operations and functions of our Cathedral. If you are interested in helping in the office, please contact the cathedral secretary (704) 334-4771.  The goal of the Technology Committee is to help Holy Trinity administer and maintain various technologies (Network, Servers, Personal Computers, Printers, etc.) throughout the organization.